China has demanded that Canada releases an executive of Chinese tech giant Huawei who was arrested in a case that compounds tensions with the US and threatens to complicate trade talks. 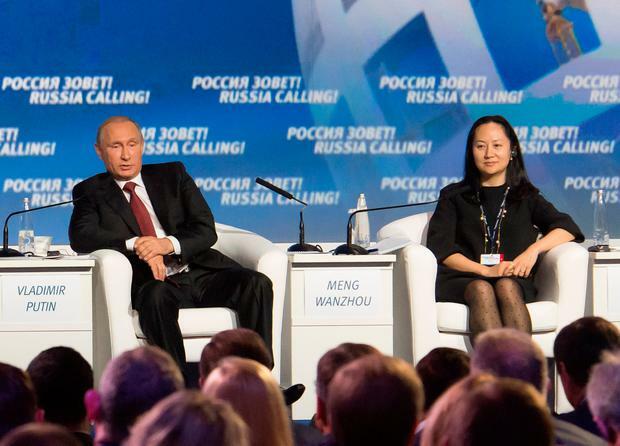 Meng Wanzhou, chief financial officer of Huawei Technologies Ltd, faces possible extradition to the US. She is suspected of trying to evade US trade curbs on Iran. Huawei, the biggest global supplier of network gear used by phone and internet companies, has been the target of deepening US security concerns. Under US President Donald Trump and his predecessor, Barack Obama, Washington has pressured European countries and other allies to limit use of its technology. The US sees Huawei and smaller Chinese tech suppliers as possible fronts for spying and as commercial competitors. The Trump administration says they benefit from improper subsidies and market barriers. Canadian Prime Minister Justin Trudeau yesterday said his government had no involvement in the arrest of Ms Meng. Mr Trudeau said Ottawa had been given a few days' advance notice about the plan of the apprehension. He declined to give further details, given that Ms Meng faces a bail hearing today. "The appropriate authorities took the decisions in this case without any political involvement or interference...we were advised by them with a few days' notice that this was in the works," Mr Trudeau said. Asked whether he had spoken to the Chinese premier or the ambassador, Mr Trudeau said he had had no conversations with international counterparts about the case. 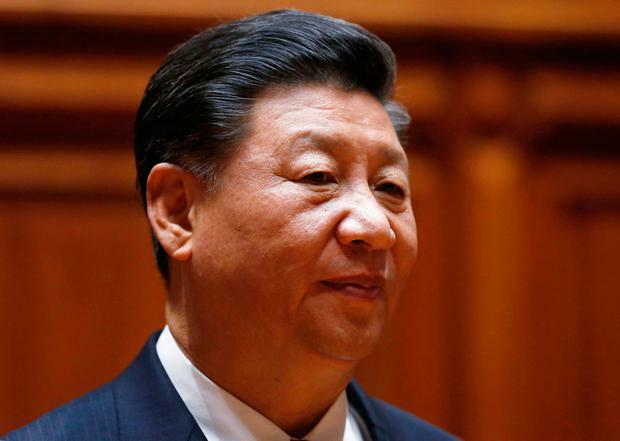 The timing of the arrest is awkward following the announcement of a US-Chinese ceasefire in a trade war that has its roots in Beijing's technology policy. Ms Meng was detained in Vancouver on Saturday, the day presidents Trump and Xi Jinping met in Argentina and announced their deal. Stock markets tumbled on the news, fearing renewed US-Chinese tensions that threaten global economic growth. Hong Kong's Hang Seng lost 2.5pc and the Dax in Germany sank 1.8pc. A Chinese government statement said Ms Meng broke no US or Canadian laws and demanded Canada "immediately corrects the mistake" and releases her. Beijing asked Washington and Ottawa to explain the reason for Ms Meng's arrest, said a Foreign Ministry spokesman, Geng Shuang. He said arresting her without that violated her human rights. But China's Ministry of Commerce hinted that Beijing wants to avoid disrupting progress toward settling a dispute with Washington over technology policy that has led them to raise tariffs on billions of dollars of each other's goods. China is confident it can reach a trade deal during the 90 days that Mr Trump agreed to suspend US tariff hikes, said a ministry spokesman, Gao Feng. Mr Trump's tariff hikes on Chinese imports stemmed from complaints Beijing steals or pressures foreign companies to hand over technology. But US officials also worry more broadly that Chinese plans for state-led creation of Chinese champions in robotics, artificial intelligence and other fields might erode US industrial leadership. "The United States is stepping up containment of China in all respects," said Zhu Feng, an international relations expert at Nanjing University. He said targeting Huawei, one of its most successful companies, "will trigger anti-US sentiment". "The incident could turn out to be a breaking point," Mr Zhu said. Last month, New Zealand blocked a mobile phone company from using Huawei equipment, saying it posed a "significant network security risk". The 'Wall Street Journal' reported earlier this year that US authorities were investigating whether Huawei violated sanctions on Iran. Huawei's biggest Chinese rival, ZTE, was nearly driven out of business this year when Washington barred it from buying US technology over exports to North Korea and Iran. Mr Trump restored access after ZTE agreed to pay a $1bn (€879m) fine, replace its executive team and embed a US-chosen compliance team in the company. Huawei is regarded as far stronger commercially than ZTE. Based in Shenzhen, near Hong Kong, Huawei has the biggest research and development budget of any Chinese company and a vast portfolio of patents, making it less dependent on US suppliers. Its growing smartphone brand is among the top three global suppliers. Ms Meng was changing flights in Canada when she was detained "on behalf of the US" to face unspecified charges in New York, according to a Huawei statement. "The company has been provided very little information," the statement said. A US Justice Department spokesman declined to comment. Huawei said it complies with all laws and rules where it operates, including export controls and sanctions of the UN, the US and EU. Ms Meng's arrest also threatened to inflame disagreements over Iran. China has said it will continue to do business with Iran despite the possible threat of US penalties. Independent.ie Newsdesk The death toll from the Easter attacks in Sri Lanka has risen to 359 and more suspects have been arrested, police in Colombo said.